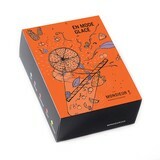 Schnaps Oolong - Monsieur T.
Can you imagine a juicy peach with rose petals and a hint of honey. Paradise is it not? Deeply floral, honeyed and juicy, you could almost confuse a cup of this Oolong with a succulent slice of sweet peach. Why not let it play with your senses? This tea is a real treat, like a perfectly ripe fruit. 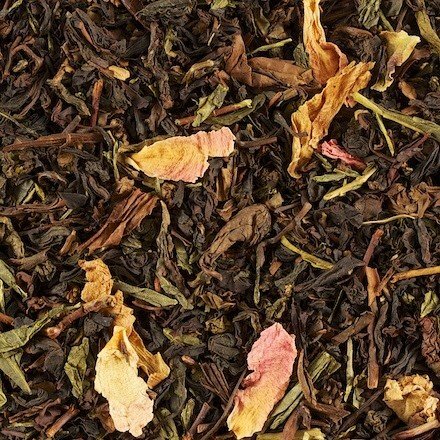 Contains: Oolong tea, Sencha green tea from China, peach pieces, rose petals, flavors.